MH CET Law 2019 Application Form has be released For 3 years & 5 years law courses. Candidates can check the step-wise process to fill complete application form. MH CET Law entrance exam will be organized by the Government of Maharashtra State Common Entrance Test Cell, Maharashtra, Mumbai. It offers the admission into 5 years of LLB (regular, full-time and integrated) and 3 years of LLB (regular and full time) courses. 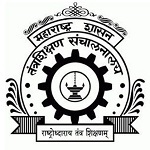 It is a state level entrance exam to get admission in various law institutions in the state of Maharashtra. Through this article, candidates can check how to fill MH CET Law Application Form 2019. MH CET Law 2019 Application form for 3 year LLB course has been started from 16th February 2019. Check here for application form. MH CET Law 2019 application form can be filled through online mode only. For applying in the MH CET Law candidates need to register on the website. For 5 years LLB course, the application has been released from 28th January 2019. The last date to fill application form will be 10th March 2019. Candidates have to take the printout of application form till the 25th March 2019. Candidates have to enter the valid mobile number and email id for further communication purpose. Take the printout of the registration confirmation page and keep it safe for future processes. Application fee is Rs. 800/- for general of Maharashtra state, outside Maharashtra state or J&K migrants. Reserved category candidates have to pay Rs. 400/-. The application fee is non-refundable and non-transferable in any case. The fee can be paid through credit card/debit card (RuPay/Visa/Master card/Maestro), internet banking, IMPS, Cash cards/Mobile Wallets. Candidates are instructed to follow the instructions given below to fill MH CET Law 2019 Application Form. Now, click on ‘Click here for New Registration’. Fill your basic details such as name, mobile number, email ID, etc. Then, click on “Save & Next” button. Are you sure the data entered in is correct as No change/edit of application will be allowed after “final Submit”. If yes click “OK”. Otherwise, click “CANCEL”. Note down your provisional registration number & password given on the top of page. Proceed to upload your recent scanned colour photograph and signature. Now “Choose File” option to select images and click on “Upload” to upload images. The Dimension of Photograph should be 200 x 230 pixels (4.5 cm x 3.5 cm). The Dimension of Signature should be 140 x 60 pixels (4.5 cm x 3.5 cm). The size of file should be between 20kb-50kb (photograph) & 10kb-20kb (signature) in JPEG format. Now, fill your basic details such as category, Do you belong to Maharashtra state?, Are you domicile of Maharashtra?, Have you Passed XI std examination?, exam centre preferences, etc. You also have to fill personal details such as date of birth, gender, father’s name, mother’s name, address, etc. Verify your filled details by clicking on “Validate your Details” button. Then, click on “Save and Next” button. Fill your qualification details & verify by clicking on “Validate your Details” button. Check all the filled details & click on “Final Submit” button. Fill your card details & click on “Make Payment” button. Choose any one of the payment mode and enter the required fee details. Click on ‘Submit’ tab and pay the fee. On successful completion of the application form take the printout of it. Keep extra printouts of it for future references. If you have any query related to the How to fill MH CET Law 2019 Application Form, you may ask us by leaving your queries in the given below comment box. I have 50% in BA & 40% in MA. I will get admission in LLB ? I have scanned the photo and the dimenson is 200×230 pixels. But the file size is 16 kb. Pl confirm whether the same meets the requirement. hi! i am trying to fill form but education column after filling graduation detail, i am trying to submitt the form but its showing error and asking for post graduation education detail. Try again there might be some problem. I have completed my bhms n had filled 3 years llb entrance form I had made a mistake while filling ds form I put my Hsc details in graduation box n graduation Details in post graduation box… So m I suppose to fill d form agn or it will taken as a correct one I filled? Pls help? The correction dates are not announced yet. I have passed my graduation examination from mumbai university in the year 2015 where credit based system was there. While filing graduation details should i go for aggregate marks of Sem V and Sem VI or CGPA. ANd if CGPA they ask for grade points which is not there. ANd what is the date of passing examination? The last date for ll 3 year is 16th May 2018. If you have percentage in your qualifying exam then you have to convert it in cgpa. I filled mh law cet 2018 form for 3 years llb. But at the time of filling form i didnt clicked on ‘validate details’ button nd directly clicked on ‘save n next ‘ button nd completed the form nd paid the fees. So my form will be accepted or not? Plz help me in this. I am unable to select year of birth in personal details. How to rectify this issue? my daughter has given her final year bcom exams recently, her results are not out yet, and while she registered in the application form needs the qualification and the marks obtained in bcom, due to which she can’t register in, how can she register? She can apply under appearing student category. she had tried under ‘appearing’ but for some reason it still asked for the marks and isn’t moving past that. Can you please provide with the link for the registration of CET for 3 yrs LLB. One more question is that if M.Com is done through IDOL (distance education Mumbai University) is it acceptable? Do I need to submit TC (which is not given by IDOL) or can I get admission based on B.Com or M.Com marksheet and without Transfer Certificate? MH CET Law 3 year application form. Application correction is not announced yet. You should contact to the official authority. Hi, The educational details ask for Graduation Date of Passing. Is this supposed to mean the date on the graduation certificate issued by the University or the date on the marksheet or the month and year of the exam given? if the last, it is not possible to give a date, as the exams are held over a period, while the month and year is as given in both the marksheet as also the graduation certificate. I filled up a 3 year old program form online and paid the fees. After paying the fees, I noticed that the form erroneously captures my graduation as ‘Distance/Open’ even when I clearly selected regular. I tried to make a second log in id to correct it, but the same problem keeps happening. Even if I select Mode of Degree as ‘Regular’, the form captures it as ‘Distance/Open’ in the end. I wanted to know if anyone else has seen this or has this problem. What is the minimum percentage required in TYBA for 3 year exam for Shedule caste. My student is living in maharashtra. Your caste certificate must be approved by the adminitrative authority of Maharashtra. Please send me official website for applying application form of law 5 year cet. For 3 year ll.b it is not published yet. CET Application Form for LLB 3 Years , has it been published online , please revert. Its your choice for which exam you want to apply. However, you are eligible to apply in both exams. I am of general category. Why am I not able to apply from my mobile. Whenever I hit the link it ststes ‘your device is not allowed to access this page’. How should to apply?? After a graduation .want do the 3 years LLB.course .Pleas know me about this according to Eligibility;filling of app.form;Dates centres and so on. I am a Maharastrian . Check our article, we already provide application link. MH CET Law online registration 2018 has been started now for 5 years LLB course. Visit MH CET Law 2018 Application Form. Please let me know the documents required for the admission in LLB 3Yrs Course. Where can I find this information. please provide me the link. cant find it. asap! Application is not released yet. Sir/madam please give me information for 2018 .L. L. B. Mh-cet exam. Thank you. I want to register my name for 5 yrs LLB education. Pl. Guide me for the same. its really hard to first search for the official site where you can find the correct information about the valid details of the MH CET LAW 2018 application form. i cant apply. the last date is near. how will register. please help. Only exam date is released yet and no application date is released. Sir can you please tell me the application form for mh cet law 2018 is released or not? Application form is filled up but not yet paid, how to search application id and proceed for payment. link to fill the MH CET LLB 3yr form online and date to fill the form…. is there any age limit for LLB – 3. Thanks for giving all information this side. Can u plz upload the link of filling the application form pizza? can i have the link for application form MHTCET law? can i have the link for application form?